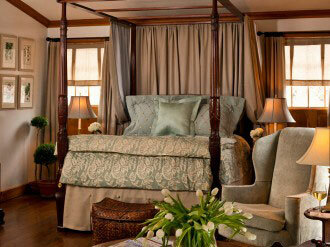 Wickwood Inn is for those seeking romantic getaways in Michigan. 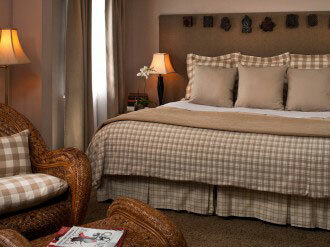 We are a luxurious yet comfortable boutique Saugatuck hotel steeped in romance. Wickwood Inn is a place of celebration and laughter. A place to reconnect, relax and be as social or as private as you wish. 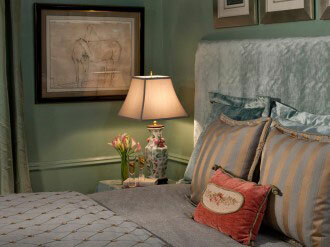 Our eleven guest rooms have a timeless style. 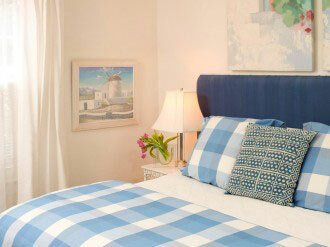 Each room of our Saugatuck, Michigan bed and breakfast is a sanctuary of quiet ease. Enjoy an authentic experience with unique designer decor, private bath, fresh flowers, amazing attention to detail, and original art to surprise and delight you at every turn.of our Saugatuck, Michigan bed and breakfast is a sanctuary of quiet ease. Enjoy an authentic experience with unique designer decor, private bath, fresh flowers, amazing attention to detail, and original art to surprise and delight you at every turn. Click Website link below for more details. In a large bowl combine chicken pieces, garlic, oregano, pepper , salt, vinegar, olive oil, prunes, olives, capers and juice and bay leaves. Cover and let marinate, refrigerated, overnight. Pre-heat oven to 350 degrees F. Arrange chicken in a single layer in two large shallow baking pans (do not crowd or the chicken will steam), and distribute the marinade over it evenly. Sprinkle chicken pieces with brown sugar and pour white wine around them. Cover the pans tightly with foil. Bake for 30-35 minutes, basting every ten minutes with the pan juices. Chicken is done when juices yielded are clear, not pink. Pre-heat the broiler well and baste the chicken again. Place the pans of chicken about 2? Under it for 3-4 minutes until the chicken becomes just slightly browned. Do not leave it long, as it will dry the chicken out. Serve over rice or greens and pass the sauces on the side.